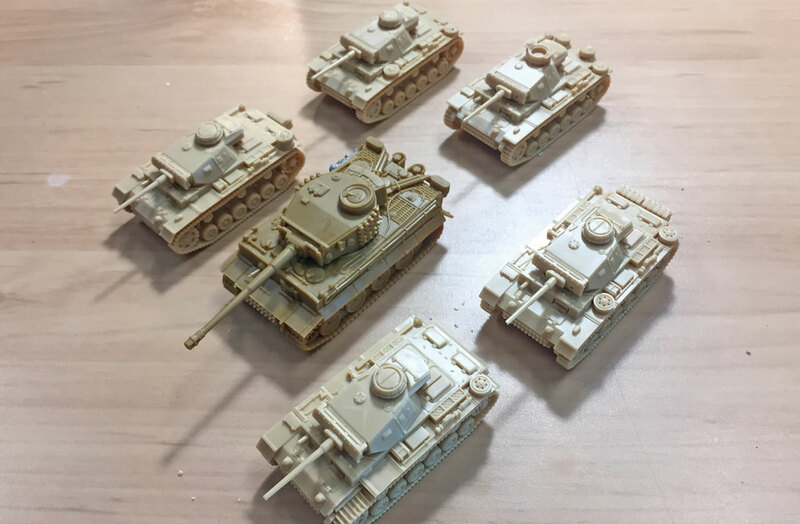 I’ve decided to put together a StuG Assault Gun Company for the Kursk period from Ghost Panzers. By June 1943 many Assault Gun Battalions (Sturmgeschütz Abteilungen) had started to be equipped with the latest version of the StuG assault gun, the StuG III G armed with the long 7.5cm StuK40 gun. The 301. 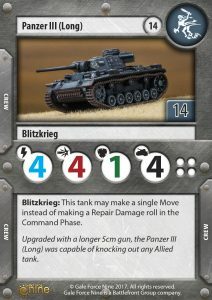 Panzer Battalion chosen as the theme unit in Ghost Panzers is a radio control unit that also contains Borgward demolition carriers, but by not taking the Borgward options it can also be used to represent any of the Assault Gun Companies or Batteries that served on the eastern front. At Kursk in particular there are a number of Assault Gun Battalion or Brigades involved in the operations. 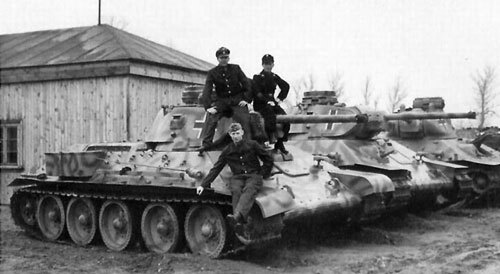 Sturmgeschütz Abteilungen 904 (31 x StuG III) and 245 (22 x StuG III and 9 x StuH 42) served with XXXXVII Panzer Korps on the north side of the salient. Sturmgeschütz Abteilungen 177 (22 x StuG III and 9 x StuH 42) and 244 (22 x StuG III and 9 x StuH 42) served under command of XXXXI. Panzerkorps. In addition a number of divisions had their own assault gun units. 78. Sturm Division had Sturmgeschütz Abteilung 189, Panzergrenadierdivision ‘Grossdeutchland’ had Sturmgeschütz Abteilung ‘Grossdeutchland’, 7. Infanteriedivision’s Panzerjäger Abteilung 7 contained one company equipped with StuG III, and 6. 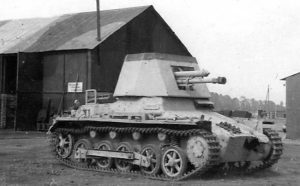 Infanteriedivision’s Panzerjäger Abteilung 6 contained one company equipped with StuG III. 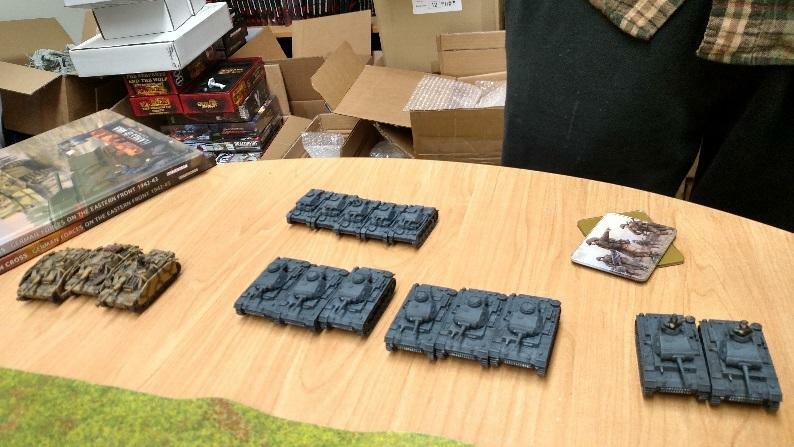 To be a bit different I’m going to base my StuG force on 6. Infanteriedivision, representing the Sturmgeschütz Kompanie (Assault Gun Company) of Panzerjäger Abteilung 6 (6th Tank-hunter Detachment/Battalion). 6. Infanteriedivision fought in the middle of the 9thArmy’s attack on the north of the Kursk Salient and pushed as far as Olkhovatka during the battle along with the Panzertruppen. 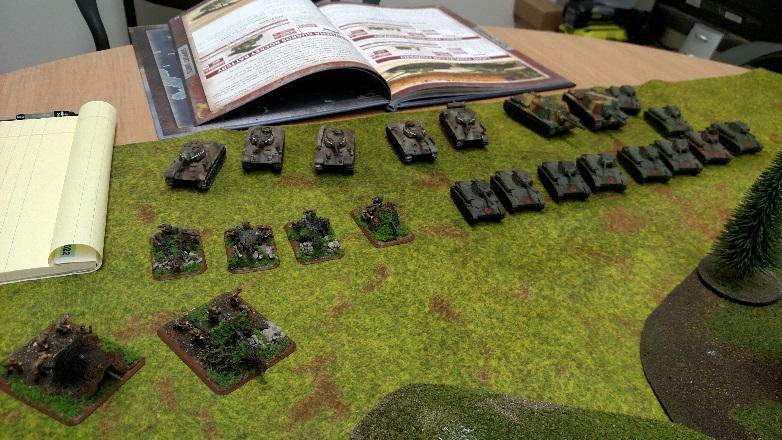 During the fighting the divisions also has the 1st and 2nd Companies of Heavy Panzer Battalion 505 (Tiger IE heavy tanks) and Panzerkompanie (Fkl) 312 attached. That’s 91 points. I’ll make this up to 100 points, but I haven’t decided what to spend my last 9 points on as yet. 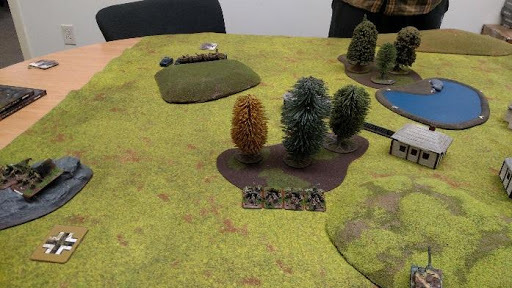 I started my Flames Of War journey earlier this year when I was invited an joined in the annual Battlefront Staff trip down to Panzerschreck. 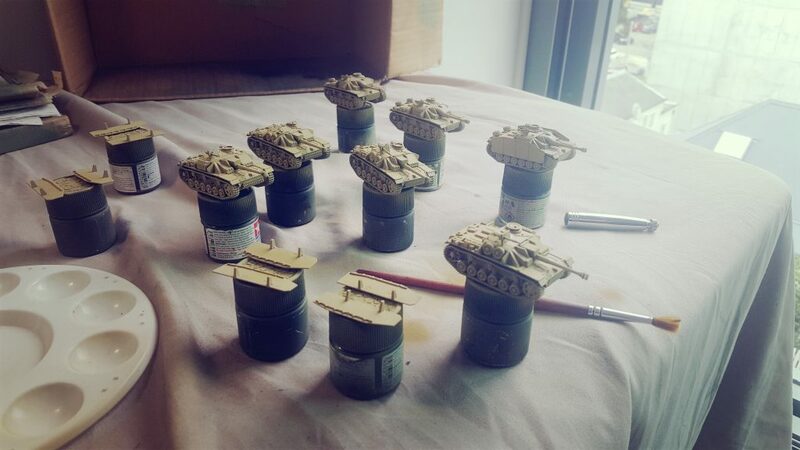 The aftermath of the weekend of fun was I now had ten Panzer IVs all painted and ready to go. Ghost Panzers has introduced the German Panzer IV to Mid War so this seemed like a great chance to take parts of it into a Mixed Panzer Company, expand my Flames Of War collection and get a Mid War army all set. I partnered up with Andrew for Panzerschreck and we sat down to plan out what sort of forces we’d be taking for the Late War doubles. 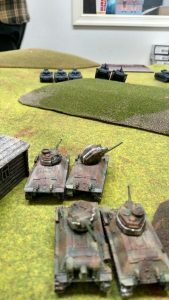 Early on I decided I quite liked tanks and eventually I settled on Panzer IV Company. 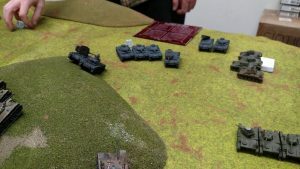 This paired up well with Andrew’s Finns who would bring mortars, guns and an infantry company to round out our force and cover all the bases. Our plan was to go all out offense and take our chances and win big or lose big. 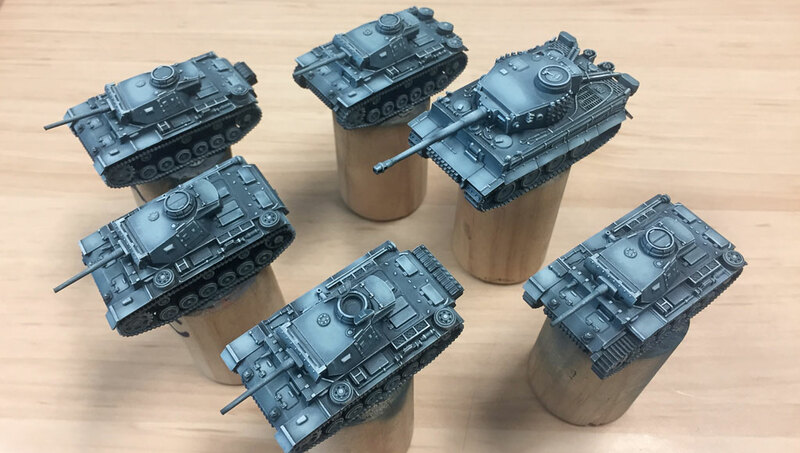 The aftermath of the weekend of fun was I now had ten Panzer IVs all painted and ready to go. 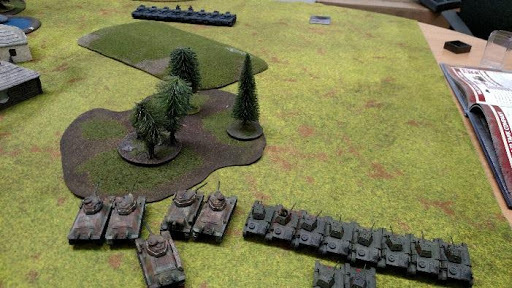 My games at Panzerschreck taught me some much needed respect for the T-34 (Andrew and I lost to a pair running absolutely massive T-34 companies) but also a great deal of pride in the effectiveness Panzer IVs that they easily became my favourite German tank. 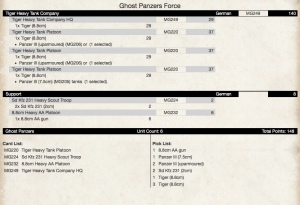 With that in mind I will be making a 120 point force using the Mixed Panzer Company. I like slightly larger games and means I’ll get a few more goodies on the table (as will my opponents). First step will be deciding just how many Panzer IV Lates I’m bringing. First step will be filling out my mandatory picks. My Commander will be riding along in his Panzer IV (this guy passed an unbelievable amount of saves) and I’ll be taking a platoon of four. 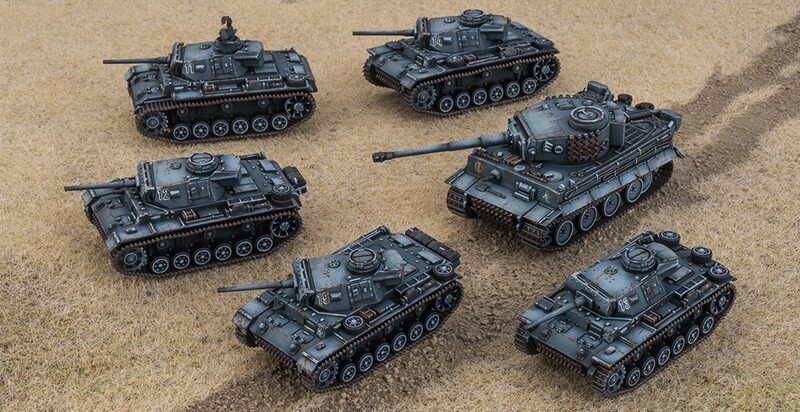 With AT 11 and front armour 6 they’ll be able to take nearly all comers with very few questions outside of a KV or Churchill. To help out with those I’ll be bringing along two Panther tanks. Their tough armour is sure to attract some firepower but it will keep their eyes off the Panzer IVs with their aggressive +3 to be hit on working to my favour hopefully making the Panther a more tempting target to less powerful guns. 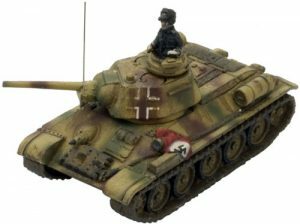 Of course the downside is that those weapons that can penetrate the Panther reliably will be hitting more often so it’s a trade-off, but one I’m willing to try out since Panther tanks just look awesome. With armour largely filling out the list (102 points to be exact) it’s time to look towards what else I need. Since I imagine the tanks will be the ones looking to take objectives I will need something that can hold the fort and take on infantry. For this I’ll be taking a full strength Grenadier Platoon in support and two sMG HMG teams. 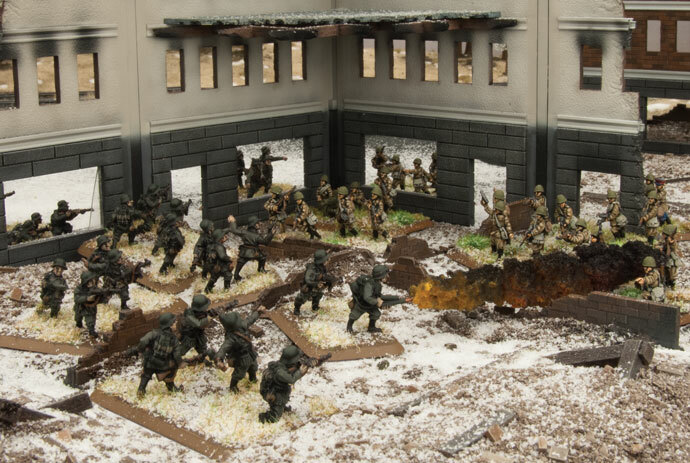 This will give me nice solid base of infantry with plenty of bodies and (hopefully) enough machine guns to deal with Soviet infantry based armies. I expect this will be a fun army to paint up and model that adds on very well to my existing models. 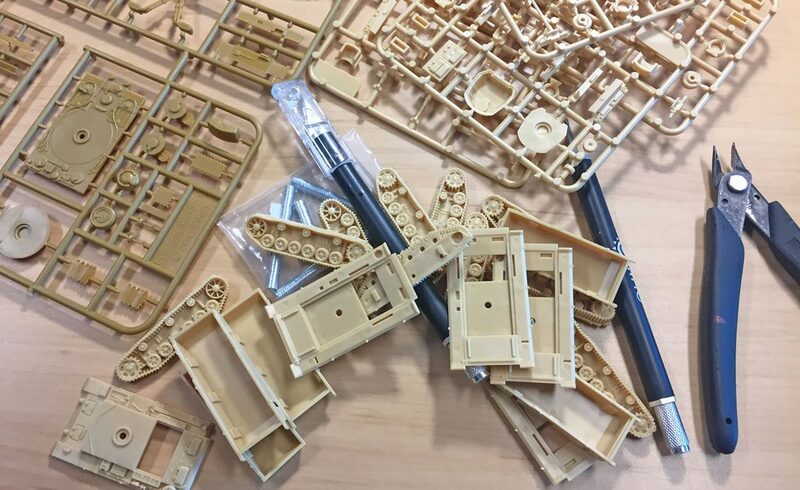 The new variety of tanks and infantry make this a hobby project I look forward to. I’m especially looking forward to seeing how the Panthers do on the table and start painting up the two I need. With some great results it could well suit me moving towards a Panther company but for now one project at a time! 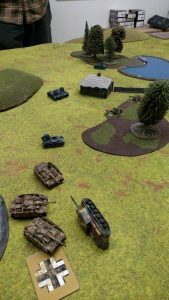 Germans are not my first army, being on the receiving end of their effective weapons, especially the fearsome Marder, I have a profound respect (and mild fear) of their tank hunters. 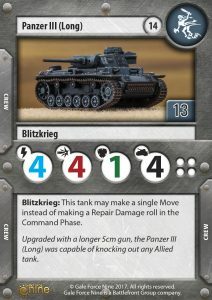 The Panzerjäger I is one of the few tank-hunters that I can happily roll my Churchills, Shermans, and even Grants forwards with minimal worry. However, put up against the more evenly matched Stuarts, and Crusaders and the Panzerjäger I suddenly becomes a weapon to be reckoned with. 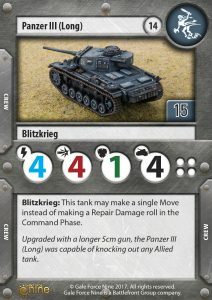 Even with the dated, and ramshackle look of the vehicle, it was very popular amongst German players, which is why today we’re doing another ‘Unofficial’ card for players to field them in your Afrika Korps force. Even at the start of the war, the Wehrmacht recognised that the Panzer I was obsolete, even for a scouting role. With this in mind, they devised a project to take the chassis of these light tanks and mount usually static anti-tank guns, giving the weapons greater versatility, and to keep up with the Blitzkrieg. With the capitulation of Czechoslovakia in 1938, the Germans found themselves with a surplus of light to medium anti-tank guns of Czech origin. The Škoda 4.7cm, was chosen for this task due to its reliability and lightweight frame. The gun was originally mounted in place of the turret in its original form; gun shield, with wheels and trail removed. This was soon improved upon with a fighting compartment comprised of sheet metal, a marked improvement over the original design. The vehicle originally served in France, before twenty-seven of them were equipped to the Afrika Korps in 1941. During Operation Crusader almost half of these vehicles were lost, with only four replacements arriving for the Battle of Gazala, and a further three later in 1942. By the time of the Second Battle of El Alamein, the Anti-Tank Battalion (605) only had eleven working vehicles. The Panzerjäger I saw more action on the Eastern Front, during Operation Barbarossa, but that’s for another time. To stat up the Panzerjäger I, it’s natural to look to its successor; the Marder (7.62cm). 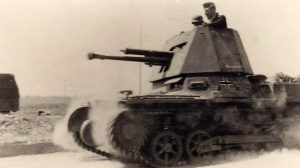 Much like the successor, the Panzerjäger I had very little armour; only the thin steel fighting compartment, and the thin Panzer I armour, combine this with the open-topped nature of the vehicle, and it results in a 1-1-0 armour rating. In terms of rating, these Tank-hunters were crewed by the same Veterans of France, and so retain the 3+ Skill rating, and with similarities to the Marder, the Motivation remains unchanged. The armament of the Panzerjäger I is where the biggest difference lies. The 4.7cm (t) [For Tscheschisch, or Czech], was a larger round than the 2pdr, or American 37mm, with slightly higher armour penetration, but with a similar amount of firepower once the target was hit. This gives the gun an Anti-tank rating of 8, with a good Firepower of 4+. Finally, the movement of the Panzerjäger has an identical mobility line to the Marder, given the lighter frame, chassis, and gun; but with a less powerful engine under the hood. 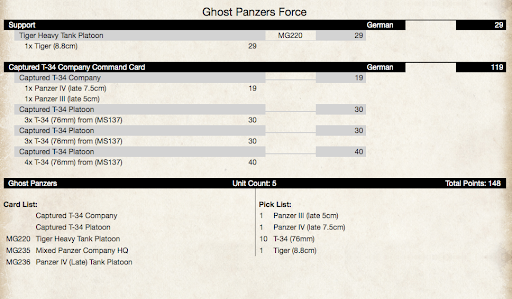 In terms of points, the Panzerjäger I is a tank-hunter for players on a points budget. With the loss of effective armour, and a major drop in penetrating power, it’s no surprise that the tank comes in at half the points of the bigger Marder. 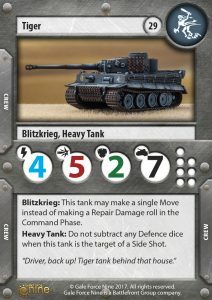 With the ability to field the Panzerjäger in the place of the Tiger, Marder, and even the Diana, this light tank-hunter will be a must-have for supporting the usually expensive German Companies, who don’t feel the need to have anything as powerful as a Tiger or Marder in their battle line. 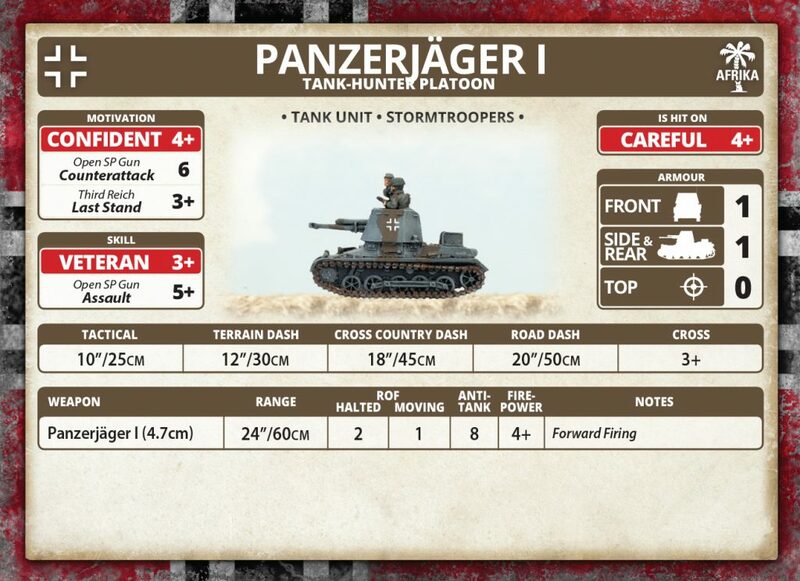 Though it may be older, and ramshackle, the Panzerjäger I remains a favourite for German players, and will continue putting the fear into Crusaders, Stuarts and pesky US armored rifle platoons. 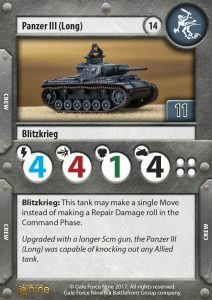 Over the course of Version 4, the Flames of War community has been very enthusiastic about particular units that did not make the cut for the new books. Units with significant fan clubs have found their fans sending us unit cards to allow those units to be fielded in your V4 forces. These cards are neither ‘official’ nor ‘unofficial’, but have been researched and tested, so it’s up to you, your opponent, or your TO as to whether or not you can field them. We know you’ll enjoy seeing some of these old friends on the battlefield again. I’ve since finished them off and am happy with how they turned out. 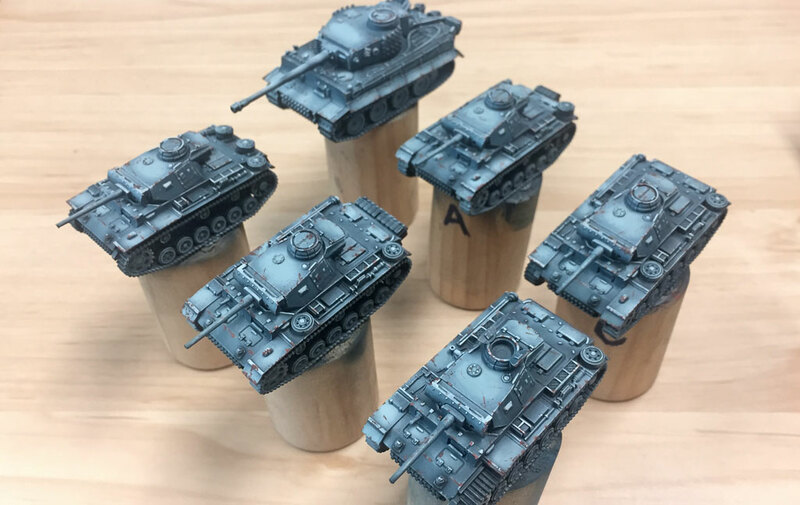 The colour is a bit light and fantastical compared to standard Panzer Grey, but it stands out on the table and it was a fun experiment pushing contrast to the extremes. Tomorrow I’ll be seeing how they perform in a TANKS! battle with Andrew, so I decided to make some custom cards. Join John (from Beasts of War) and Freddy (from our UK team) as they talk about the two new books… There are more videos coming to keep an eye on their site. The first Flames Of War models I ever painted were Panzer III’s and Tigers from the 1942 list in Ostfront. 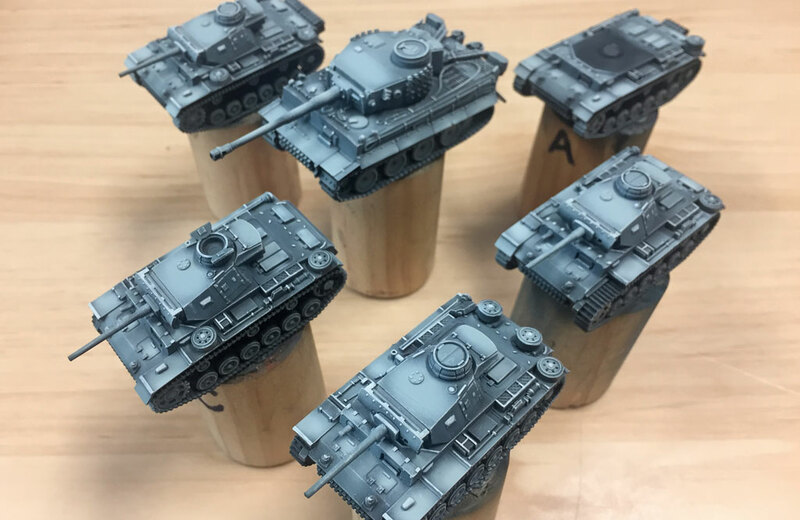 They were very much a beginner painters army, so Iron Cross presented the perfect opportunity to revisit Midwar Panzer Grey. 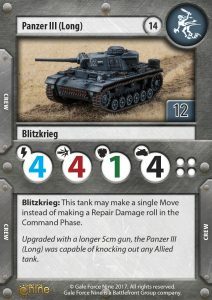 I wanted to pick a composition of tanks that would work for both FOW and TANKS!. 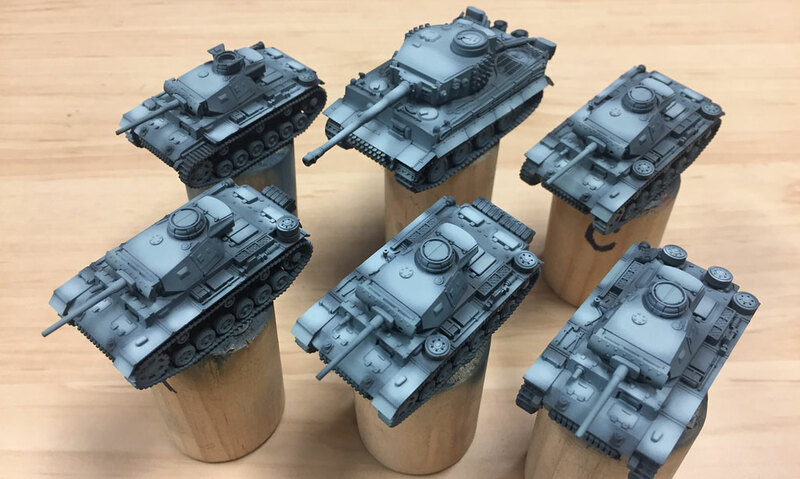 I settled on 5x Panzer III’s and 1x Tiger, with the aim to work on some Assault Pioneers at a later date to create a Flames Of War force. Assembly went fairly quickly, and more time was probably spent deciding how much extra stowage to add. In the end I decided to keep it pretty minimal as I already have an Afrika Korps force festooned with stowage. However I did modify some mudguards to be missing to add variety. After lunch I tested out some colours and decided to start with a fairly dark blue-ash grey, and work it up by adding white. I did about three stages with the airbrush. I purposefully went brighter than I usually would, knowing that it would likely get quite dark again with washes/weathering. This brought me to the end of day one. I was happy to get to this point and pleased with the results so far. The next step was to add some definition to the details. I did this with a dry brush and selective highlight with a pale grey blue. To start to tone everything down and blend in my highlights, I coated everything with a very thin Panzer grey filter. To cap off the day I applied some chipping using a fine brush and sponge. I used a red brown to simulate red oxide primer. I feel like I’ve good headway with these, and can hopefully get them finished in the not too distant future. After painting in the details and decals, all that will be left is some weathering.